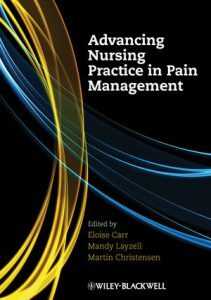 This book showcases the development and evaluation of innovative examples of pain management initiatives by advanced practitioners. It considers each service development or community initiative both in terms of advanced practice nursing and pain management. There is a wide range of examples of innovation in pain management included – from the introduction of ketamine use in one trust, to wider issues around meeting the needs of pain management in the community.